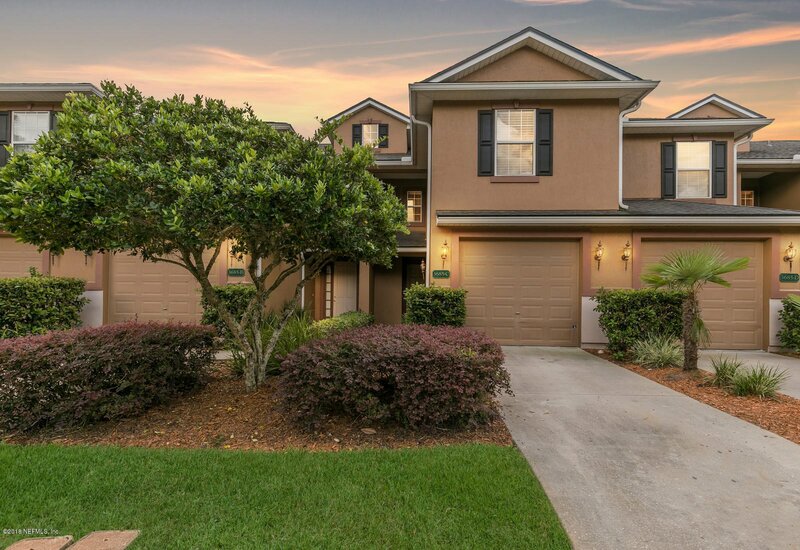 ** Exterior of the townhouse is currently being painted **Briar Oaks, a beautiful townhome community, is nestled in the heart of Oakleaf Plantation, where you have double the resort styled amenities everyone else has! Two gorgeous tropical pools with slides, multiple sports fields that includes soccer, baseball, basketball, and tennis, and two fully equipped gyms! This townhome offers a sizeable floor plan with 3 bedrooms, 2 and a half bath. Open concept featuring a spacious kitchen, half bath and dining/living room combo downstairs. Laundry is conveniently located upstairs with all three bedrooms. Large master bath includes a garden tub, separate shower, double sinks and water closet. Secondary rooms share a bath on opposite end of hall from master. Listing courtesy of EXIT REAL ESTATE GALLERY. Selling Office: COOL REALTY LLC.